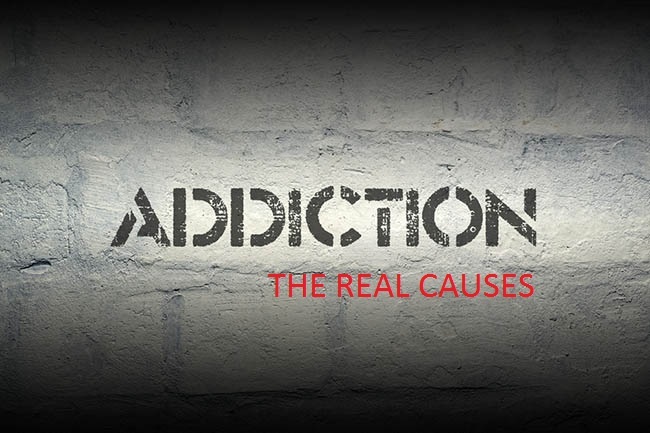 Many of us often wonder why addicts cannot do away with their habit once they get hooked to it. Though, many of us feel that it is basically out of pleasure that addicts indulge into stimulants and opioids like heroin, cocain and euphoria inducing ones like nicotine. They are umpteen myths around drug addictions as well doing the rounds for quite sometime now. Here is a curtain raiser for some of them. The two most common explanations around drug addictions are that compulsive drug addictions is a bad habit as its just that is done for getting a kick. Now, here’s something to clear the fog away around this myth. If we dig deeper into the meaning of habit, it indicates ability of doing repetitive tasks and that’s about it. Its just like your routine habits of brushing teeth or combing hair. Though these habits doesn’t get people hooked on to them and does not become compulsive or like an addiction. Withdrawal is another important issue that needs to be handled properly because for addictions like alcohol withdrawal could lead to death. Withdrawal leads to an unpleasant feeling that includes pain, chills, anxiety and more if one stops intake of the drug. This is one of the major reasons responsible for addicts not able to leave their addictions. This brings us to two types of psychological experiences related to the brain namely liking and wanting. To explain the same with the help of an example like chocolate for example. Wanting would be the desire to have it once you see it in front of you while liking would be the experience you have once to eat it off. Now Dopamine produced by the brain is responsible for wanting only and not liking something. We crave for more drugs only because drugs trigger the need for dopamine, a feeling of wanting in the brain. With repeated use of drugs the wanting thus grows but somewhere the liking goes stagnates or decreases. Talking about involuntary addicts who take opioids prescribed by doctors for pain apparently do it to relieve themselves from pain and that is how they perceive their idea of pleasure. Though over time the doses has to be increased as they develop intolerance about it. As a result the wanting also grows leading to an addiction of sorts. Hyper active wanting leads to intense craving on seeing the drug or drug cue exposure. The effects are surely long lasting and genetic factors do lead to increased risk. As responsible citizens and family members we also need to change our view of looking at addicts and that anyone of us can get affected by the same. Also, many a times addicts are aware of the pain and suffering they are causing themselves and others but the craving is much stronger than their will power to overcome it. Well, we need to be compassionate and support people rather than distrust them or consider them as a disgrace. This entry was posted in Healthcare and tagged addictions, best hospitals in bangalore, hospitals in bangalore, vims bangalore, vydehi hospital on October 19, 2017 by admin. Vydehi Institute of Medical Sciences & Research Centre in its ten years of existence has transformed itself to a super specialty hospital of truly global standards. This entry was posted in Healthcare and tagged artificial hearing device, Cochlear Implant, Dr. G. Prabhakar, Dr.J.M. Hans, ENT, Hearing disability, hearing loss, rehabilitation, Super specialty hospital, VIMS & RC, vydehi hospital on January 3, 2012 by admin. This entry was posted in Healthcare and tagged bangalore, Bharrat Jagdeo, Bheri S. Ramsaran, Dr. D. K. Audikesavulu, guyana, India, karnataka, Mrs. D. A. Kalpaja, Super specialty hospital, vydehi, vydehi hospital on February 8, 2011 by admin. This entry was posted in Healthcare and tagged hospital, neonatologist, rare case, Transsexual, vydehi hospital on September 23, 2010 by admin. Inauguration of Orientation Programme for the staff nurses of Vydehi Hospital. Vydehi Institute of Nursing and Research Centre had inaugurated the “Orientation programme” for the staff nurses of Vydehi Hospital, Bangalore on 21/07/2010. This entry was posted in Healthcare and tagged Education, hospital, nursing college, vydehi hospital on July 23, 2010 by admin. Neuro Surgery Department at Vydehi Institute of Medical Sciences & Research Centre has been reorganized. 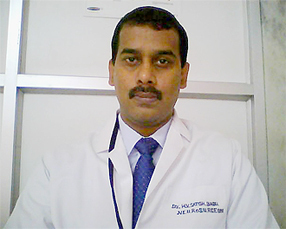 Eminent Neuro surgeon Dr. H.V. Satish Babu will be the Professor & Head of the Department, Neurosurgery Division. He is trained in brain and Spinal surgery from the world renowned neurosurgical centre of Christian Medical College Vellore. Doctor has presented various papers of these “Tracing sympathetics to a single thoracic segment in Macaca Radiata using Horse radish peroxidase enzyme”, “Surgical Management of Intramedullary Glial tumors – A Vellore experience”, “Protocol based management of acute head injury patients”, and “Acute spinal injuries – management dilemmas”, are note worthy. He has received the Best Paper award for Allied Neuroscience from Neurological Society of India for his study on localization and arrangement of the sympathetic neurons in a thoracic segment of monkeys (macaca radiate) spinal cord using horse radish peroxidase enzyme. He has rich surgical experience in Cranial Surgeries, Spine Surgeries, Trauma, Stereotaxy, Radiosurgery, Radio Frequency lesion and functional Neurosurgery. Doctor is responsible in setting various well equipped Neuro Trauma Centre in Bangalore. He has represented the institute in numerous National & International Neurosurgery conferences. His main interests are Neuro Critical Care, Spine Care and minimally invasive Neuro Surgery. He is founder member of Indian Trauma Surgeons Society and presently the join secretary of the society. This entry was posted in Healthcare and tagged banaglore, department, hospital, neurosurgery, vydehi hospital on May 31, 2010 by admin. Vydehi Institute of cardiac sciences designed to serve your hearts needs. It is distinguished by the services of highly qualified senior full time surgeons and physicians. The services of specialists are available round the clock to attend the emergencies. Mrs. D.A. Kalpaja, the director of the VIMS & RC, has proved by her action that life is not its duration, but lies in its dedication, commitment, and achievement. According to her Vydehi Institute of Cardiac Science is one of the Centers of excellence in Vydehi Hospital. All surgeries of Cardiac Science met with 100% success with track record of 1000 Cardiac Surgeries. The Institute of Cardiac Science is committed to providing affordable healthcare to the lesser privileged sections of society providing healthcare absolutely free to the truly poor. Cardiac surgeries have been performed for the nominal cost in India which is inclusive of Medicines & Food. The crew behind the mission lead by director has been phenomenal in getting funds for the operations conducted for the under privileged. It has also associated with the scheme of Prime Minster National Relief Fund (PMNRF). The extensive services of the department include adult cardiac surgery, adult and pediatric valve repairs and replacements and a coronary care unit. The team comprises of highly skilled cardio thoracic surgeons, anesthetists, intensive care specialists and dedicated critical care nurses. Treating cardiac disorders from pediatric to the elderly and 60% of them are from West Bengal. Exploring the frontiers of cutting edge research in angiogenesis, endothelium-coated grafts, pericardial patches and more, are Homograft and Xenograft facilities. The institute is really ‘matching to the beat of a different drum’. At Vydehi Institute of Cardiac Sciences matters of the heart, so to speak is a consuming interest. This entry was posted in Healthcare and tagged bangalore, cardiac hospital, heart hospital, heart surgery, vydehi hospital, vydehi institute of cardiac sciences on March 23, 2010 by admin.